Over the course of a frustrating afternoon in 1961, Wayne Thiebaud visited every single gallery on Madison Avenue, New York, to try to sell his paintings. By then, he was in his early 40s, had recently become a professor of art at the University of California and counted such giants as Franz Kline and Willem de Kooning among his friends. But he had not yet made his own name as an artist. The man turned out to be gallery owner Allan Stone. He was, in fact, extremely interested in Thiebaud's paintings. "There was an insistence and integrity about them that was undeniable," Stone later said. The following year, his gallery hosted a one-man show. Every painting sold. Among the high-profile buyers was the city's Museum of Modern Art. 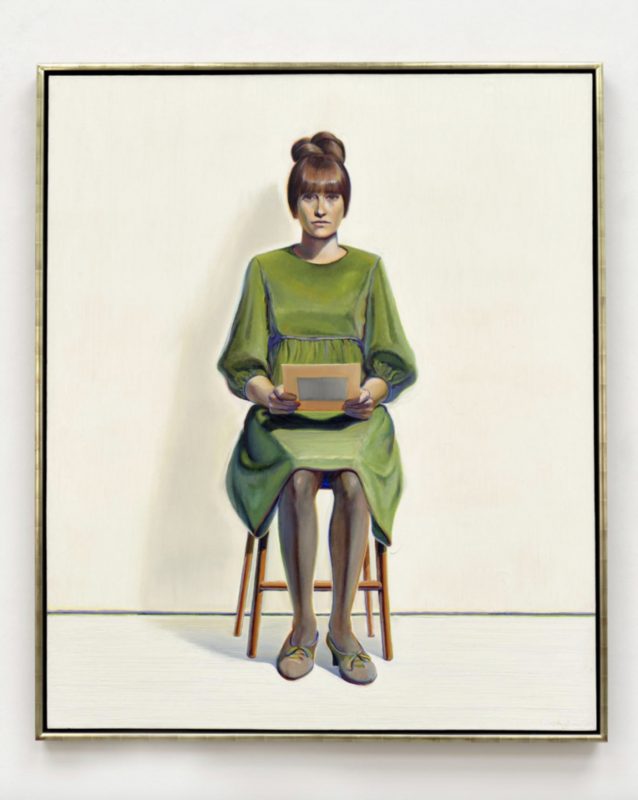 Fifty-five years later, Thiebaud, who is 96, is still painting, and still selling pictures. His everyday subject matter and mouthwatering style -- snowdrifts of vibrant, delectable oils pasted on to the canvas like thick piped icing -- remain the same. But the sums of money involved have grown considerably. In 2011, Pies (1961) sold for $4million at Sotheby's in New York on a night when 18 of Thiebaud's paintings fetched a combined total of $27.5 million. These aggressively large sums embarass Thiebaud. "It happens without your knowledge," he says when we meet in London ahead of a major solo show at the White Cube gallery. He can be a fierce critic, too. Last week, a painting by Jean-Michel Basquiat, Untitled (1982), became the most expensive ever by an American artist when it sold at auciton for $110million. "What's happened in the art world is quite astounding in terms of corporate development," says Thiebaud. The question is, "What do those strokes of Basquiat's mean? Where do they come from?" They're done with great vigour but you have a lot of people hoping they can get away with that. I don't know whether Basquiat faked his feelings or not but he didn't convince me." Thiebaud was born in Arizone in 1920 but moved to California, where he still lives and works, when he was six months old. The son a mechanic, he had no formal art training but, at the age of 16, landed a spot on Walt Disney Studios' apprentice animation programme, for which he learnt to draw Goofy and Pinocchio and was paid $14 a week. "I was there, maybe, for five weeeks before I was fired," he laughs. After stints working as a cartoonisht and a designer in California and New York, in 1942, Thiebaud joined the Air Force as a mechanic but was soon transferred into the public relations department, where he was required to create posters. It was here that he really began to learn his craft. "They gave us a 2H pencil, a slate-white piece of paper and an egg," he says. "You drew that damn egg until it looked like it was sitting on that piece of paper." After the war, Thiebaud worked as a designer for advertising and fashion agencies before he began teaching art in Sacramento in 1950. One of his most famous students was the conceptual artist Bruce Nauman, best known for challenging installations such as Changing Light Corridor with Rooms (1971), which consists of a dark corridor flanked by rooms lit by alternately flashing bulbs. What does the teacher, so committed to traditional painting techniques, make of his student's success? "Conceptual art is another whole process," says Thiebaud. "My honest feels is that [conceptual artists] have kidnapped the term 'art.' That, for me, is a misnomer and a miscalculation." Thiebaud has more time for the Abstract Expressionist, many of whom he befriended on his return to New York in 1956. "I loved them and copied them," he says. "It was really a small community of critics and painters. Almost everyone went to everyone else's opening. You'd see Harold Rosenberg, Thomas Hess, Clement Greenberg. They were all very approachable and wanted to argue. "Jackson Pollock was a tough customer. He was a fearful man for me. Every time I saw him, he'd be drinking heavily, wanting to fight, it was tragic. Fortunately, the other painters were quite indulgent of him and took care of him." Compared to the works of his most famous contemporaries, then, Thiebaud's clam pictures appear unsuually traditional. What he frequently chooses to represent, even after all these years, are cakes and confectionary. Why? "They're the things we spend most time with," he says. "There is so much information out there these days but what we're really interested in is, 'What is on the menu? What am I going to have to eat?'" At 96, Thiebaud shows little sign of slowing down. He continues to paint almost every day and plays tennis three times a week, taking as much pleasure from the lines of the court as the swing of the racquet, "after all, you are playing on a Mondrian." Oh, and then there are the bananas, which he eats throughout the day. "I feel like an ape," Thiebaud laughs, "coming out of the studio to get my bananas." But while, for Thiebaud, life seems only to improve with age, he's less optimistic about the state of his country. "America is losing its iconic character," he says. Starting with -- what else? - the sweets. "Gumballs have changed," he says, shaking his head in dismay. "Now, instead of cutting a pie once it has cooked, people cook them already cut." The pastel-coloured perfection of his pictures represents an America that no longer exists.